Researchers at Harvard University have found evidence that the retina actively seeks novel features in the visual environment, dynamically adjusting its processing in order to seek the unusual while ignoring the commonplace. The scientists report that this principle of novelty-detection operates in many visual environments. "Apparently our thirst for novelty begins in the eye itself," says Markus Meister, the Jeff C. Tarr Professor of Molecular and Cellular Biology in Harvard's Faculty of Arts and Sciences. "Our eyes report the visual world to the brain, but not very faithfully. 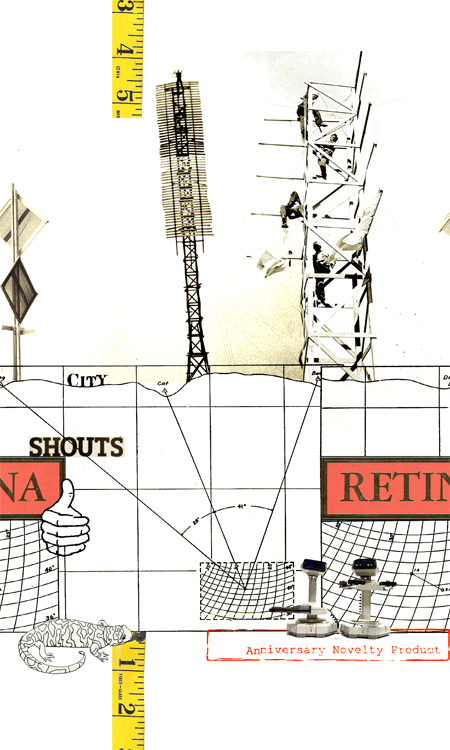 Instead, the retina creates a cartoonist's sketch of the visual scene, highlighting key features while suppressing the less interesting regions." These findings provide evidence that the ultimate goal of the visual system is not simply to construct internally an exact reproduction of the external world. Rather, the system seeks to extract from the onslaught of raw visual information the few bits of data that are relevant to behavior. This entails the discarding of signals that are less useful, and dynamic retinal adaptation provides a means of stripping from the visual stream predictable and therefore less newsworthy signals. For example, Meister says, in visual environments such as forests or fields of grass with many vertical elements but only rare horizontal features, the retina adjusts to suppress the routine vertical features while highlighting the singular horizontal elements. Meister and his co-authors examined neural signals in retinal ganglion cells, which convey visual images from the eye to the brain. These cells generally record local spatial differences and changes over time rather than faithful renditions of momentary scenes. Scientists had interpreted this as a form of predictive coding, a strategy shaped by the forces of evolution in adaptation to the average image structure of natural environments. "Yet animals encounter many environments with visual statistics different from this hypothetical 'average' scene," Meister says. "We have found that when this happens, the retina adjusts its processing dynamically: The spatio-temporal receptive fields of retinal ganglion cells change after a few seconds in a new environment. These changes are adaptive, improving predictive coding by enhancing the ability of these receptive fields to pick out unusual features." While manipulating the visual scenes faced by salamanders and rabbits, Meister and colleagues recorded neural signals from the animals' retinal ganglion cells, testing whether adaptation to a different environment altered the encoding of retinal signals. From the neural responses to novel stimuli, the researchers computed the sensitivity of individual ganglion cells to various scenes. > pattern recognition: oscillatory associative memory networks. may 14, 2004. > blog epidemic analyzer. march 12, 2004.